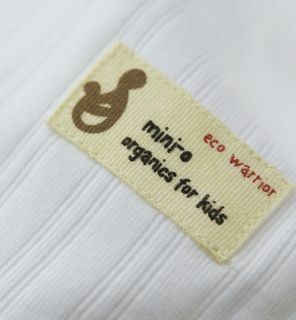 mini-o is a new brand of organic children's wear, designed for children within the age of 0-8 years. When using products from mini-o you contribute to a sustainable production and improved care for the planet. Our first collection covers underwear with exiting and colourful print, T-shirts, trousers, sweatshirts and fleece jackets in classic design and happy colours, combined with cool details. Furthermore, we introduce a basic line covering underwear, bodystockings and night wear in a soft and flexible rib quality of organic cotton. The underwear comes in practical boxes and you can choose whether you prefer to have it with or without the little print on the back side. We look forward to introducing you and your child to mini-o!